I have tons of half finished posts – about packing, about going to go a Japanese hospital, about it taking 2 weeks to get a pedicure – but this information I want to share with you now because as we finish up our time in Asia, I’m starting to get excited for the next big chapter in the Adventure. 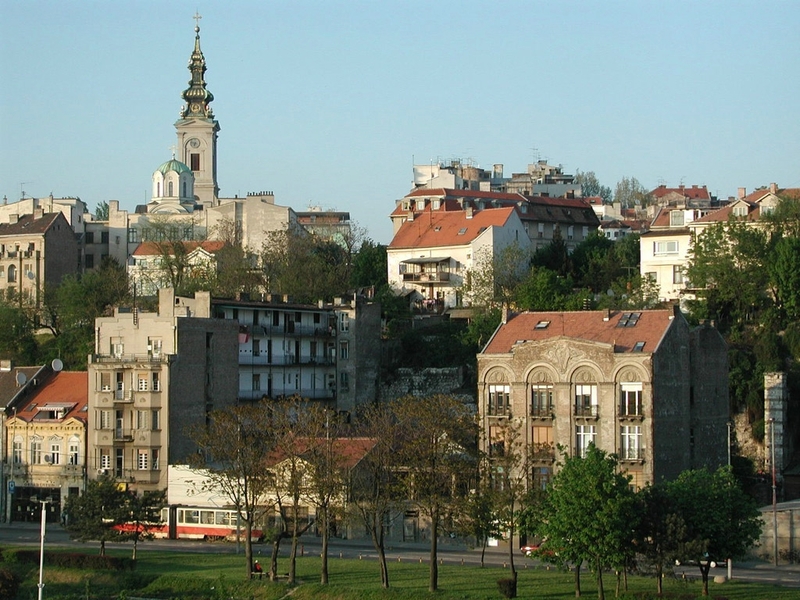 I have accepted a volunteer position with the Refugee Language Initiative teaching English in Belgrade! This is something that’s been in the works for months now. 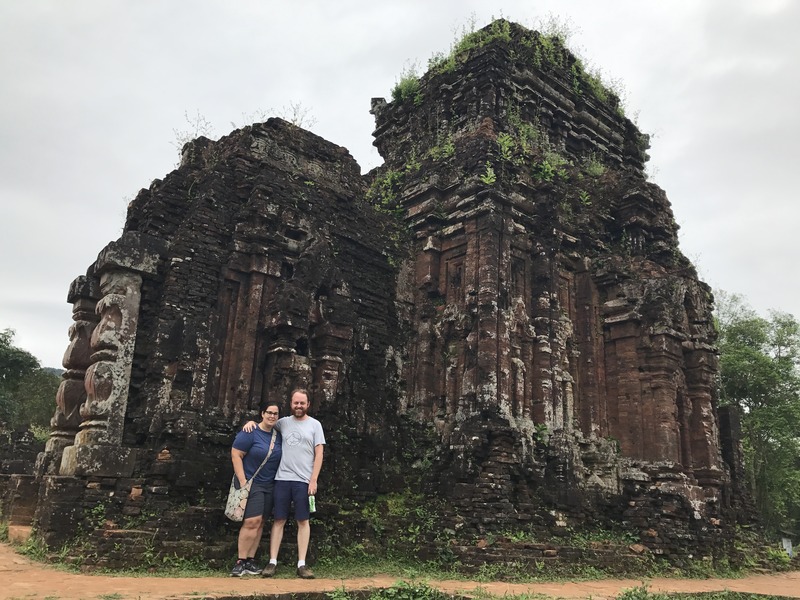 I had thought about doing volunteer work on the Adventure for at least a year before we left, but it took a conversation with another traveler in Vietnam to get me to send the first email. 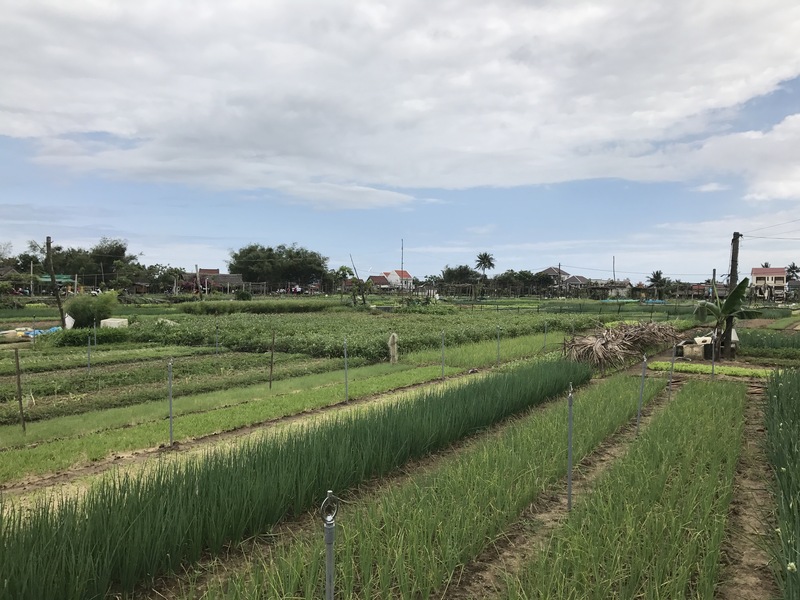 I had been having a tough night missing home and she told me she had felt similarly until she did a month-long yoga retreat – something that was personally fulfilling to her – and suggested I find something that would be the same for me. Since then, I have been talking to the coordinator at RLI about placement. Back in April, they didn’t know where they’d need teachers in July or August, which was my timeframe. We talked about Greece and Serbia and agreed to check back in with each other the first week of June when they’d have a better idea about placements for the summer. Last week I committed 4 weeks – July 3-28 in Belgrade, Serbia – to work with adult refugees, most likely women. The program is already going on and students are attending even through Ramadan – that is how committed they are to learning. I am expecting to work 3 days a week and spend the rest of my time relaxing and enjoying the opportunity to fully unpack and also doing some traveling around the area. Right now I’m working through an online course about teaching English and reading about Belgrade. We have an apartment in one of the nicest areas of the city – full of parks, shops, and restaurants and with good public transit. We leave Japan on June 27th to give me the opportunity to settle in maybe observe some classes before I start working. Well, that’s the big news for right now! Now to get back to those half-finished blog posts you’ve all been asking about! When we arrived in Bangkok and found that outside of most metro stations there is a motorbike taxi stop, I thought it was crazy. Most women sat on the bike side-saddle and nobody was wearing helmets. Throughout the city, people on bikes would ask us if we wanted a ride – I thought they were insane. Who in their right mind would get on the back of a motorcycle driven by a stranger and just hope for the best? 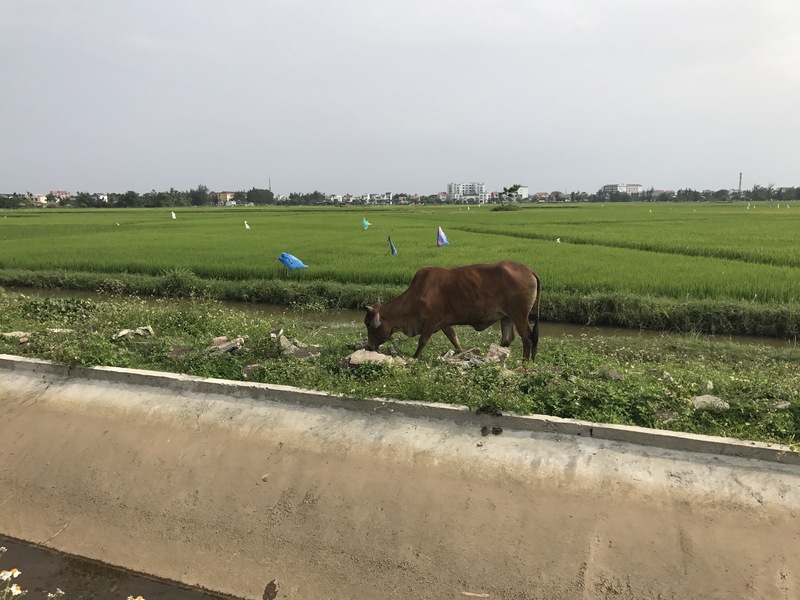 A month later, we’re in Ho Chi Minh City – a place with terrible public transit. Jason and I enjoy taking trains and public buses, but the systems here are very limited and unreliable. What does everyone do instead? Well, in a city of 10 million people, there are 8.5 million motorbikes. 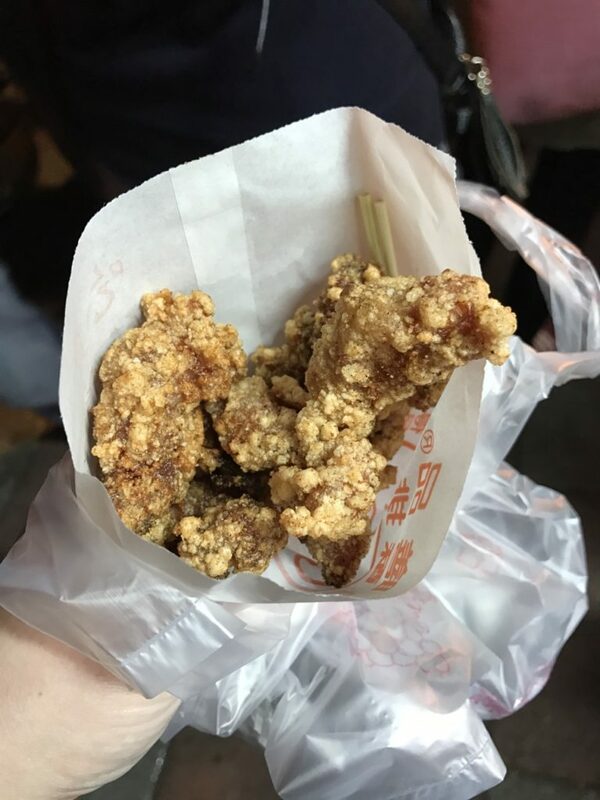 We started by dipping our toes in – we booked an evening food tour on the backs of bikes. I had this recommended to me by a few people who are decidedly not crazy, so I found a company that could take us with just a few days notice (Back of the Bike) and made a reservation. It was awesome! The riding on the back of the bike was easy to enjoy only a few minutes into the first ride. Our drivers were great – we never felt like we were going too fast or riding outside of the “pack” of bikes you can find on any street here. The drivers offered their shoulders to hold on to if you weren’t comfortable holding on to the back (or not holding on at all!) and we closed the evening feeling like confident motorbike passengers. Over the new few days, we really only took GrabCar and walked. GrabCar is the best choice here because they base the rate only by distance between pick up and drop off – not the route the driver takes. This means the driver cannot go out of the way to drive up the fare like they can with Uber. 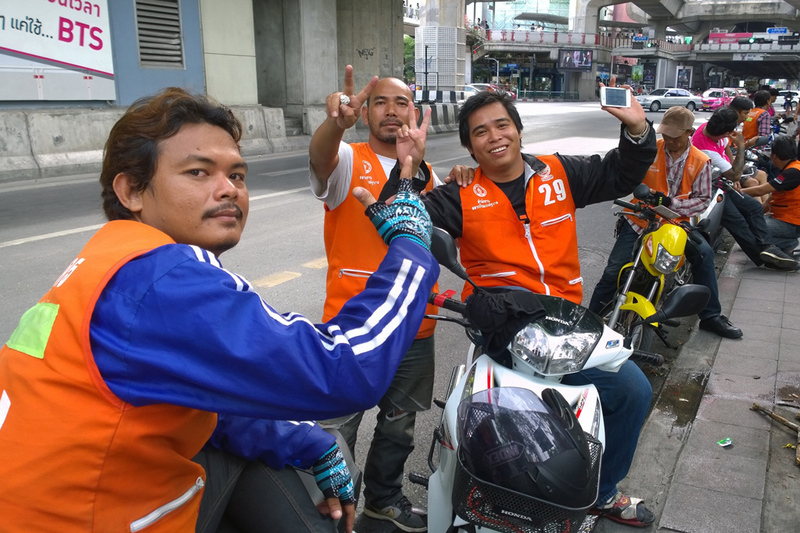 We had several very successful GrabCar trips when we started to talk about GrabBike. GrabBikes are everywhere. They wear green jackets and have green helmets. The drivers carry an extra helmet for their rider – something that we absolutely required! Motorbikes get around faster and let’s be honest – it’s way more fun! Jason and I went out for brunch this morning and then did a little bit of our own walking tour to see some of the highlights downtown. When the heat got to be too much and we knew we needed to head back to our apartment, I think we both were thinking the same thing – we were ready to take the leap. I took out my phone and requested a bike – within 3 minutes, he was there. I approached my driver and gave him a big smile and little wave. He handed me my green helmet and it was a perfect fit. He helped me buckle it because the clip was a bit different to what I was used to. I swung my leg over the bike and hopped on. I grabbed the bar in the back of the bike and held on – we were off! What I immediately realized is that this was a lot different than riding in a pack of tourists. 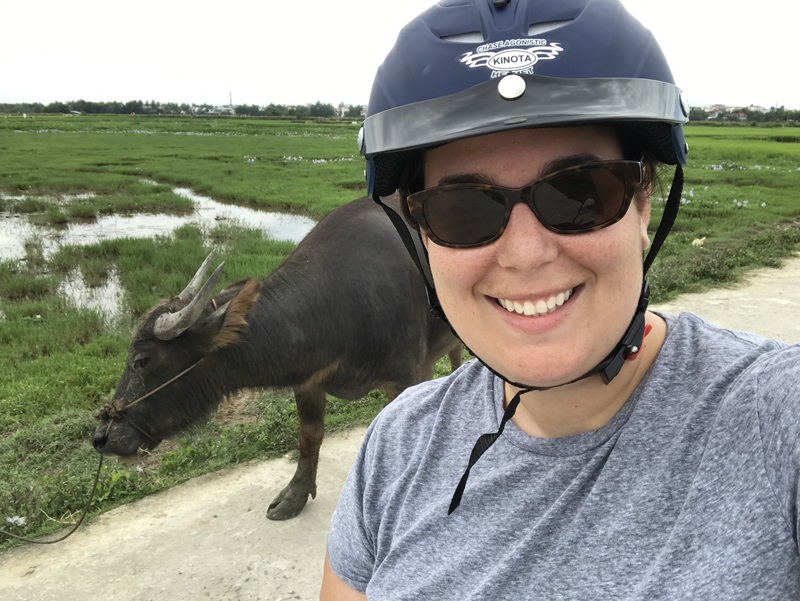 My driver didn’t go a fast as many of the bikes or do anything crazy – except maybe for the one time we crossed the center of the road to go around some stopped cars – but it definitely felt like the local experience. He even spoke some English, asking where I was from. 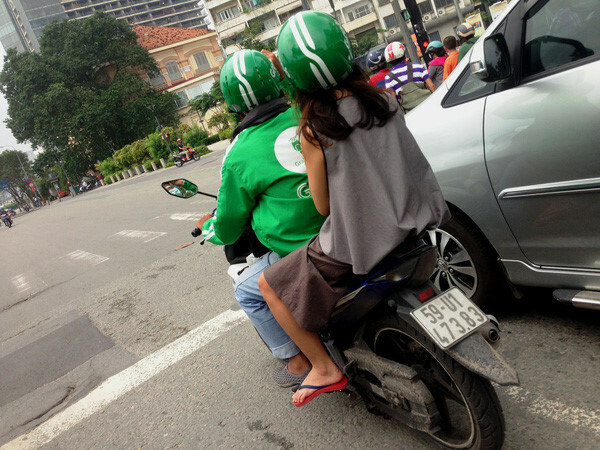 I also told him it was my first time on a GrabBike and he laughed – he probably already knew that! 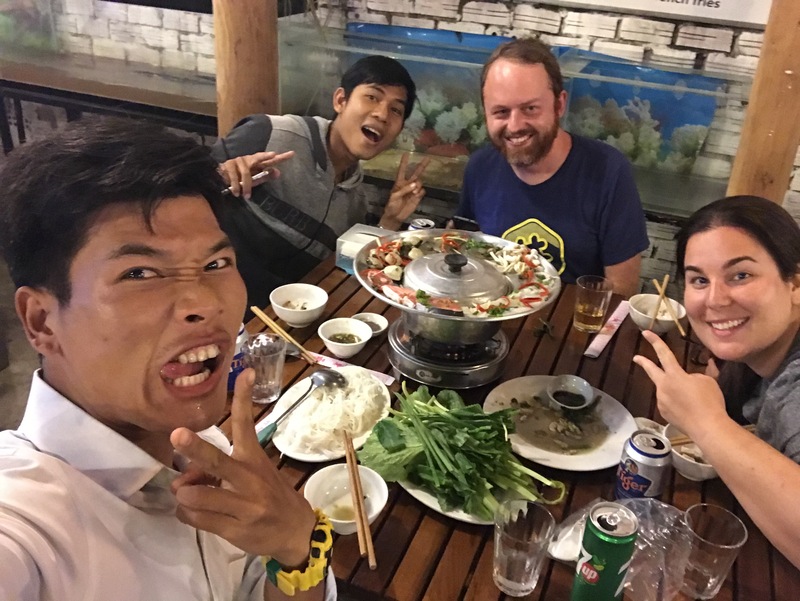 When we arrived back at the apartment and I hopped off, I thanked him very genuinely and just a few seconds behind me was Jason on his GrabBike – he also had a great time. Now we’re back inside recovering from the midday heat. 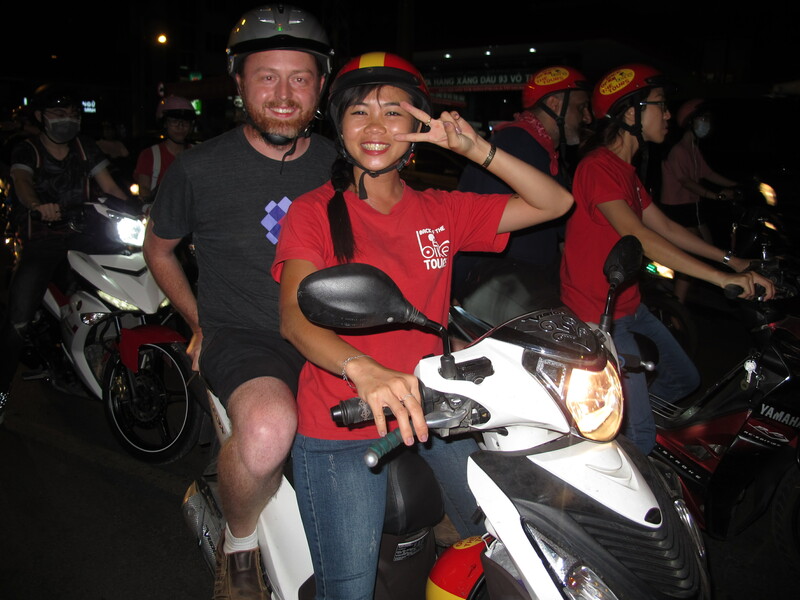 If you’re ever visiting Ho Chi Minh City, I would absolutely suggest GrabBike – but maybe take a city tour on the back of a bike first, since those drivers are used to newbies. If you have any questions about this – let me know! 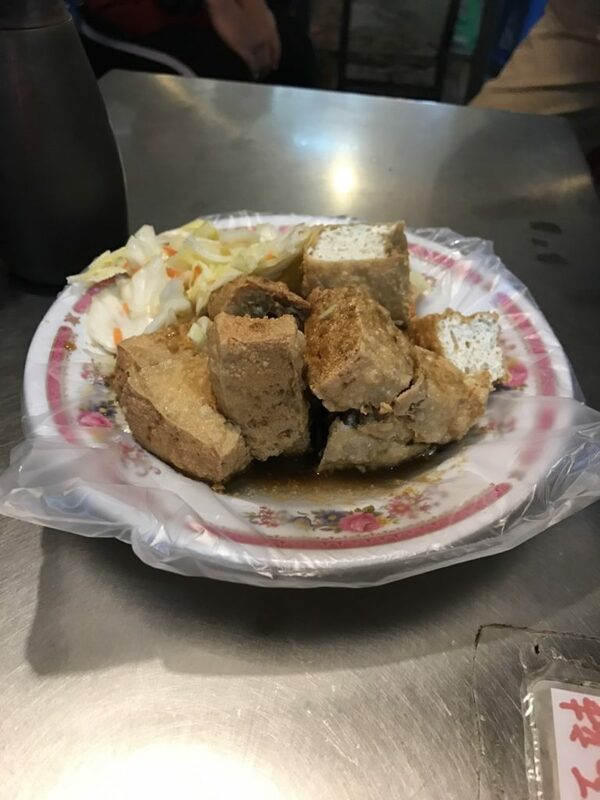 This one might be the most famous – stinky tofu! If you can manage the smell, it tastes pretty good. But then again, I’m a huge fan of most things tofu so I’m probably biased toward liking it. 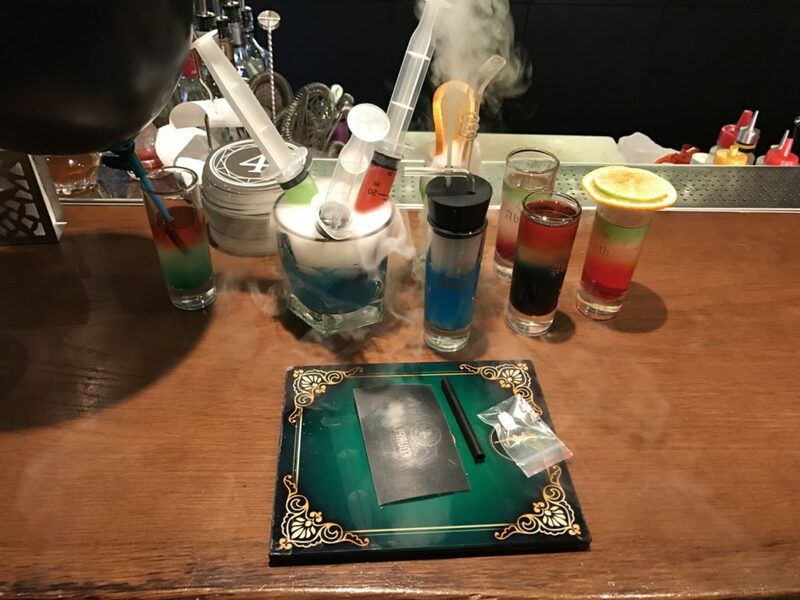 If you visit Taiwan, this is a must try! Pig blood cake – the name is deceiving as this isn’t actually cake. It’s sticky rice made with pig blood and covered in peanut dust. If you put out of your mind that you’re actually eating blood, it’s really good! 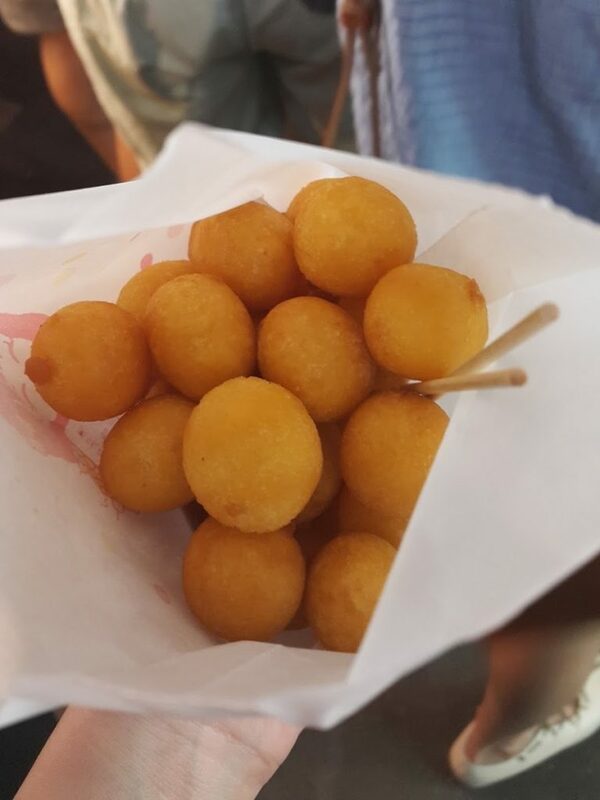 This was another top pick for me – sweet potato balls. 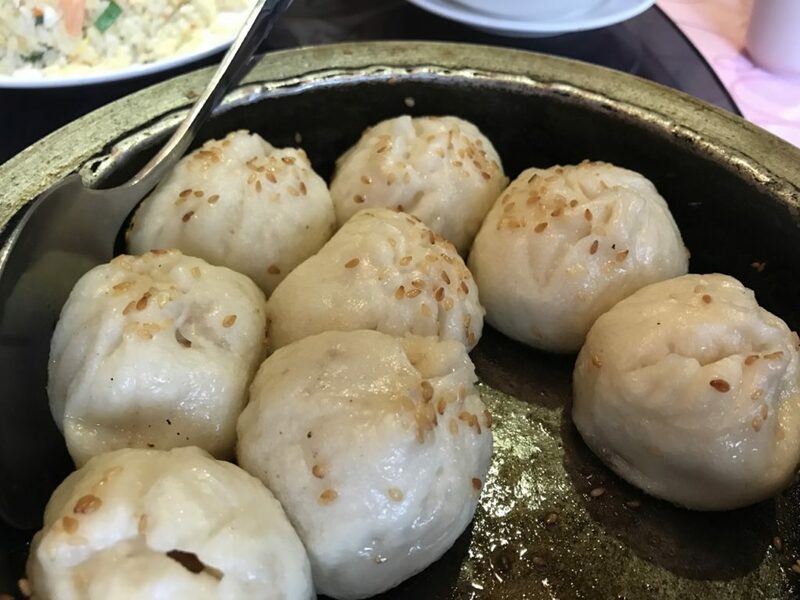 Not much to say about these but they are super light – almost hollow inside. You can find them at most night markets. A good one to try if you are not super adventurous. Almost as much of a guaranteed win as the pineapple cake! This was my other all-around favorite snack of the trip. 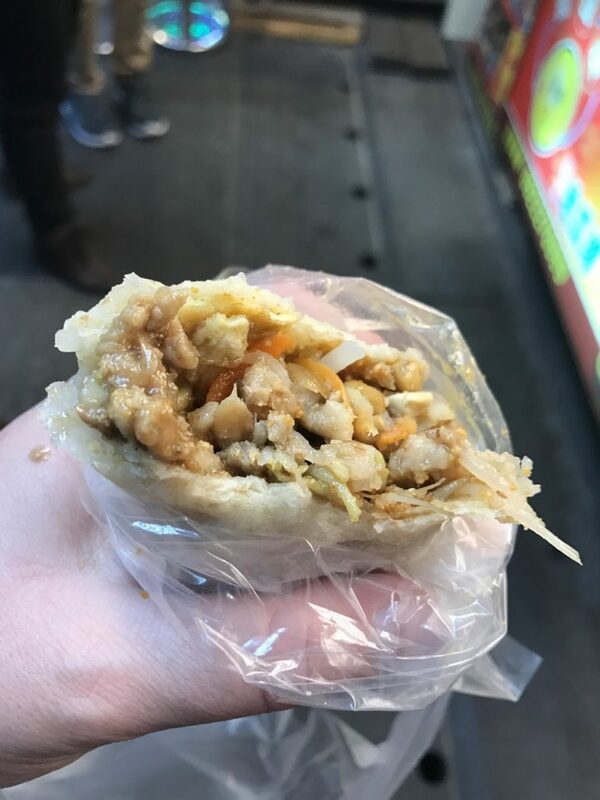 We found it through a blog post on food in Hualien and they called it the Bei Gang Spring Roll – not sure if that is the name of the food or the name of the stand. 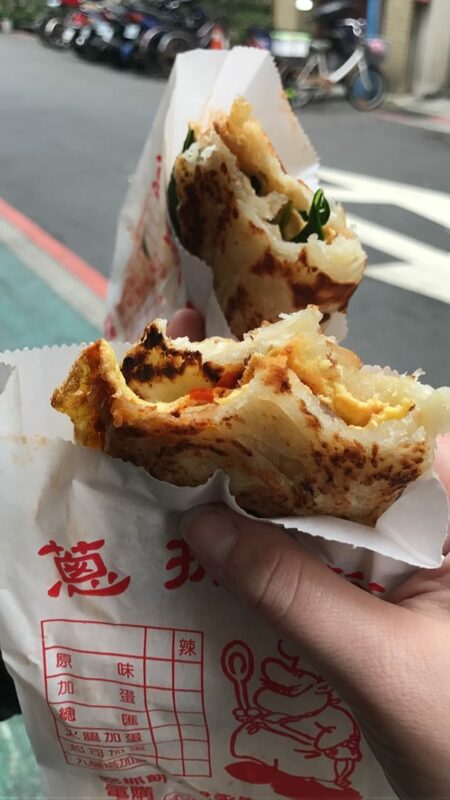 The wrapper is a steamed savory crepe and you pick your protein and sauce. I got pork, Jason got the black pepper pork, and we both got the original sauce. They add several additional items inside as well. The third night we were in Hualien I had to go back and have it again! You can find it at the Zi Quiang night market and they now have English on their signboard! 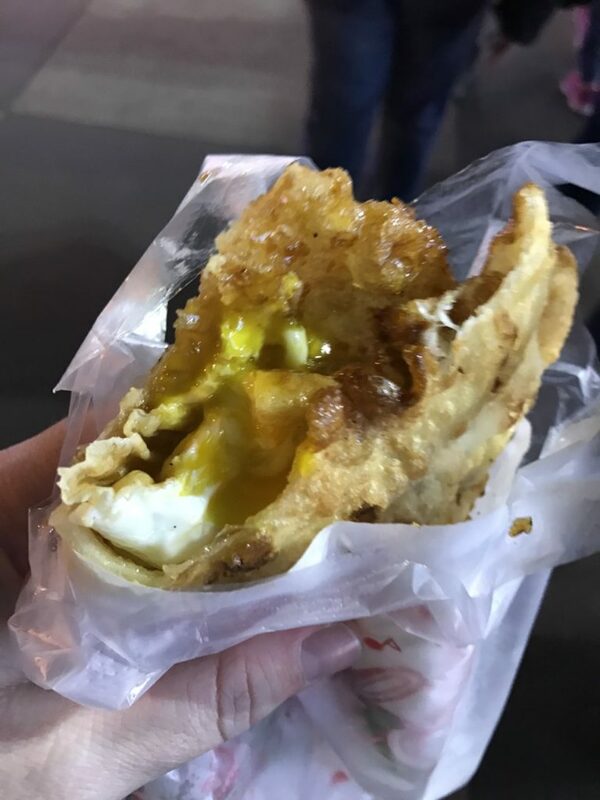 Step one – crack egg in hot oil, step two – cover with thin piece of dough, step three – flip and cook until crispy! The best part is the egg is still runny! 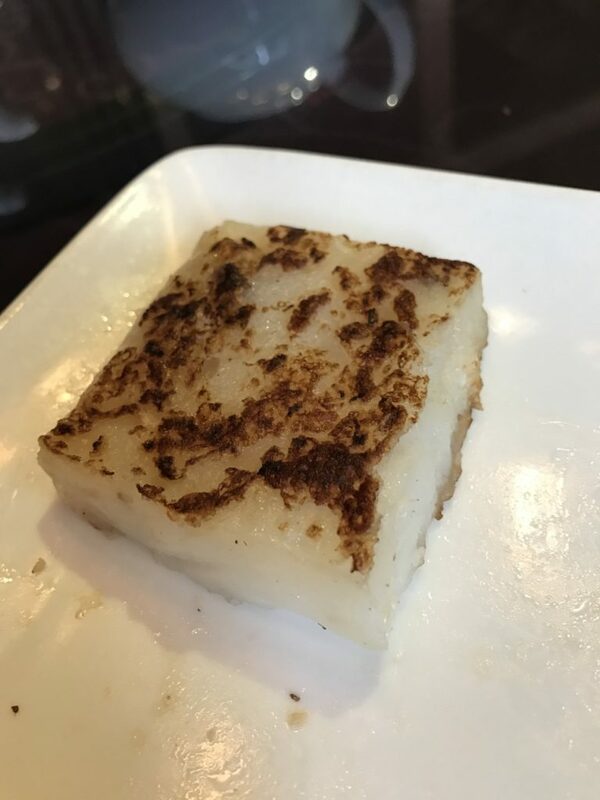 Radish cake – I wasn’t a super fan of this one, but Jason was. It’s like hash browns but radishes instead of potatoes. This was an unexpected big winner for me, and our Airbnb hostess told us we needed to try it in Tainan. 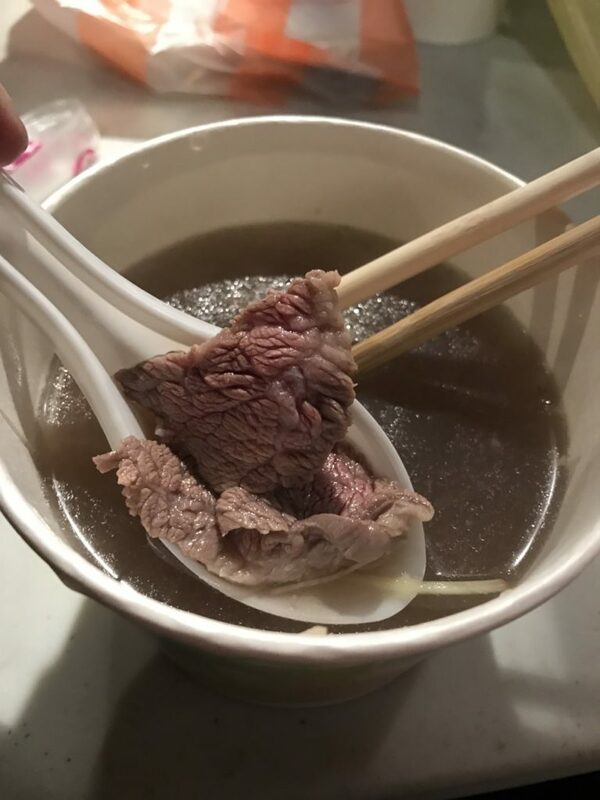 It’s called beef soup, and it’s very different than the more-famous beef NOODLE soup in Taipei. 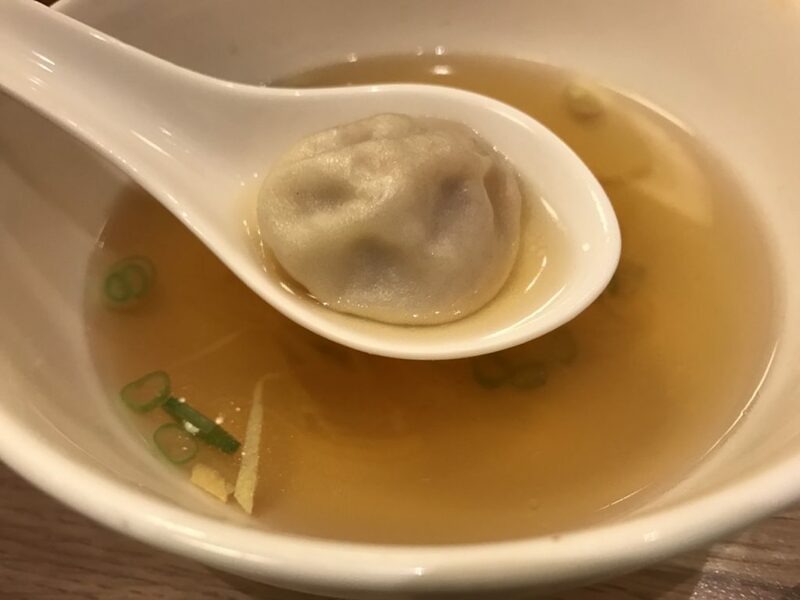 It’s kind of similar to Vietnamese pho in that they put raw beef in a bowl of steaming hot soup, but they added ginger, which was a total improvement in my opinion. 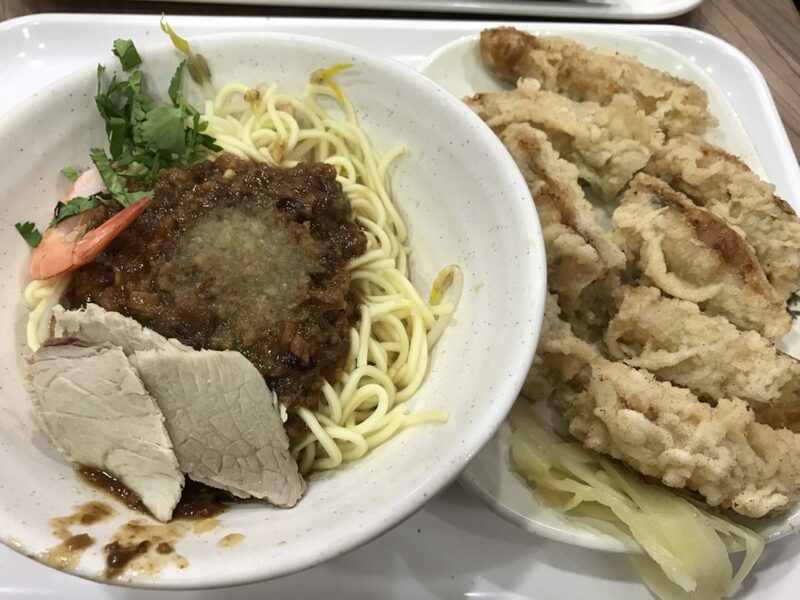 Also – no noodles. 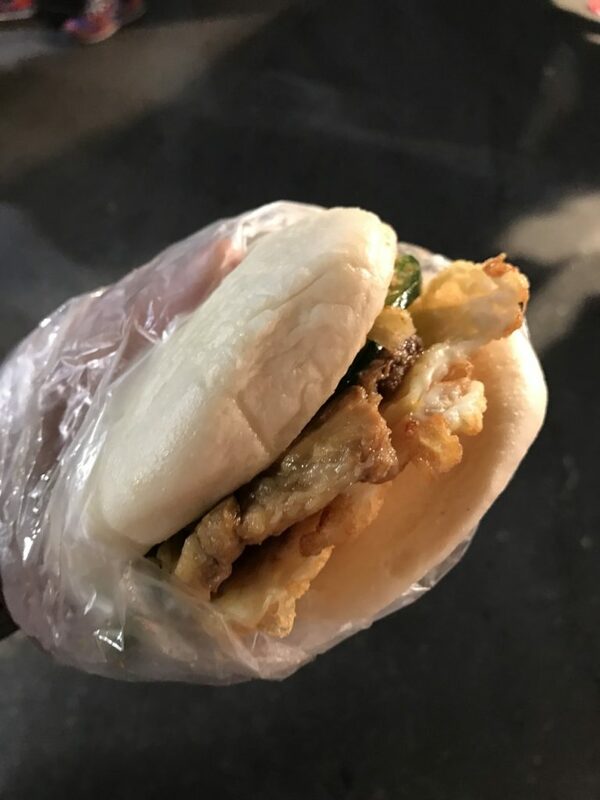 My Taiwanese friend told me I had to track this one down – it’s a giant pork belly bun. It also has a fried egg, some sort of slaw, plus pickles, and a mystery sauce. Big winner!!! 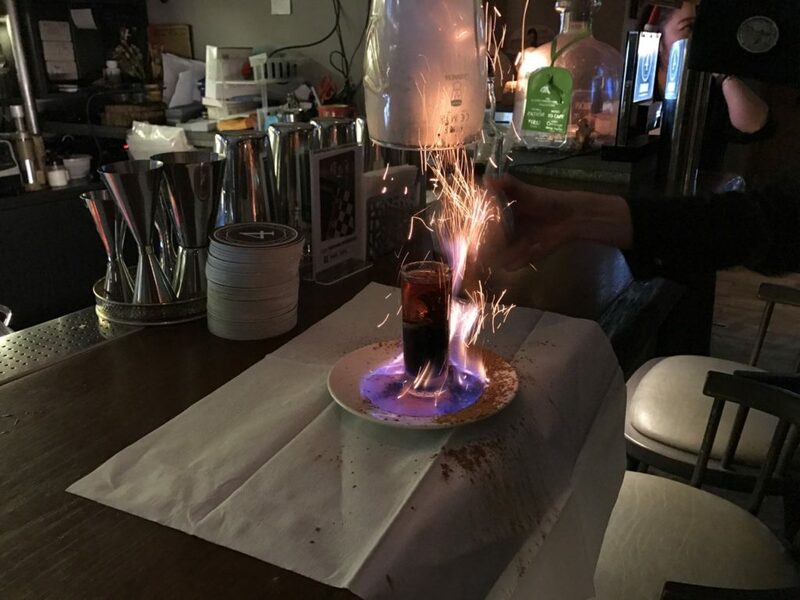 This was one of those “well how could THAT be bad” things that we passed and had to try. 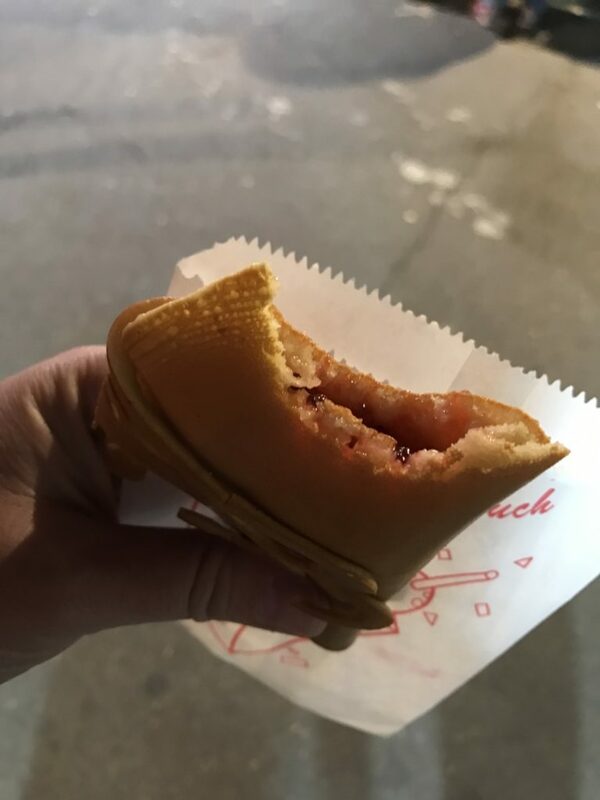 It’s a pancake (just like my dad makes at home) filled with strawberry jelly. 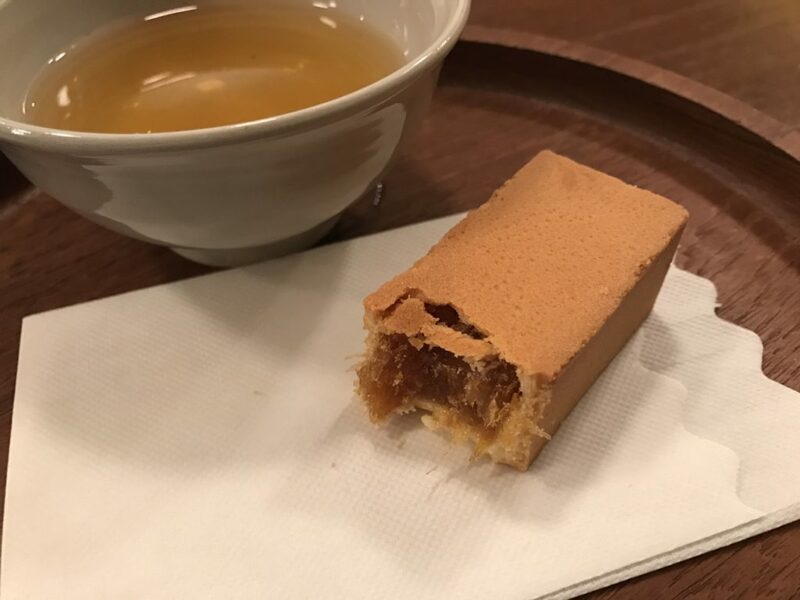 They had maybe 8-10 other filling options, including creme, chocolate, red bean, matcha, sesame, and peanut. 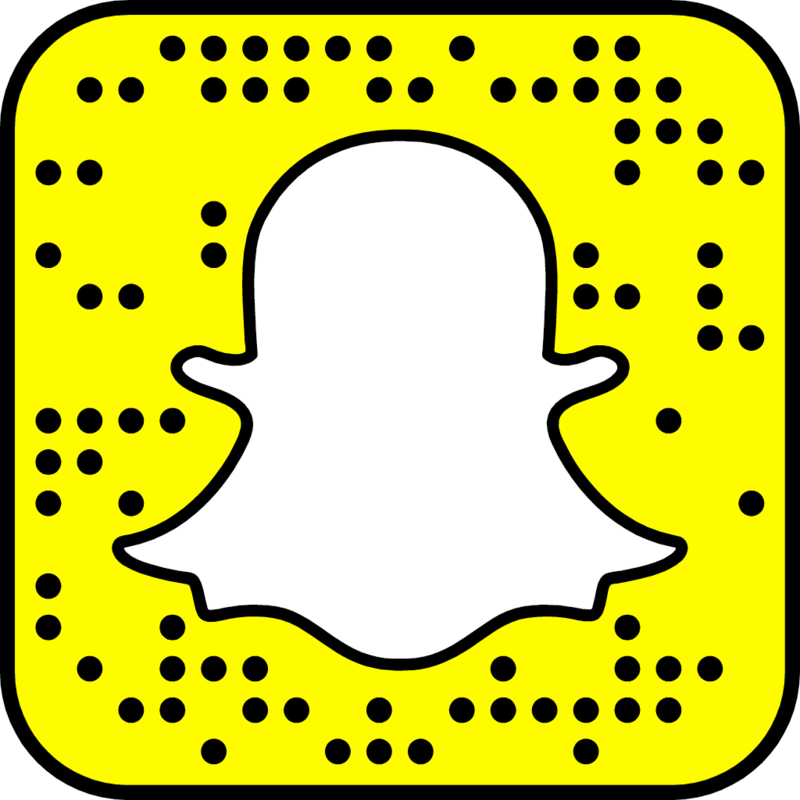 And finally, this… thing. 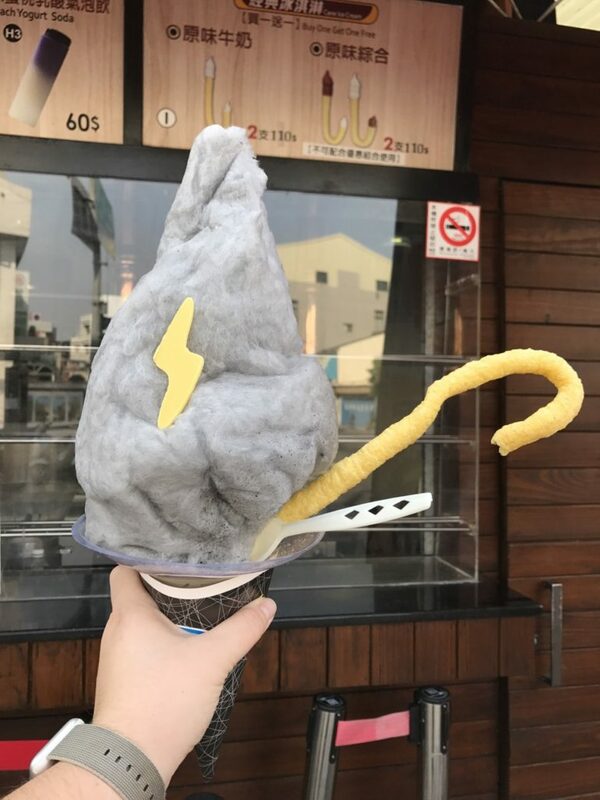 It’s a soft serve ice cream covered in cotton candy with a white chocolate lightening bolt and a cone cane. We people carrying them as we neared the stand and couldn’t resist giving it a try. Honestly I enjoyed the cotton candy very much, but I’m not super big on soft serve ice cream so I took a few bites and tossed it. But it looks super cool! Thanks for reading. 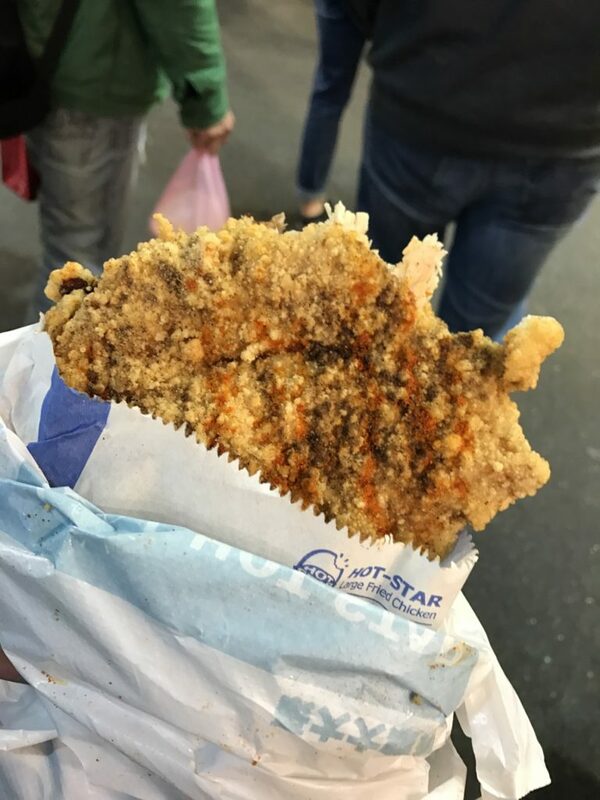 This was most of the cool stuff we ate in Taiwan. 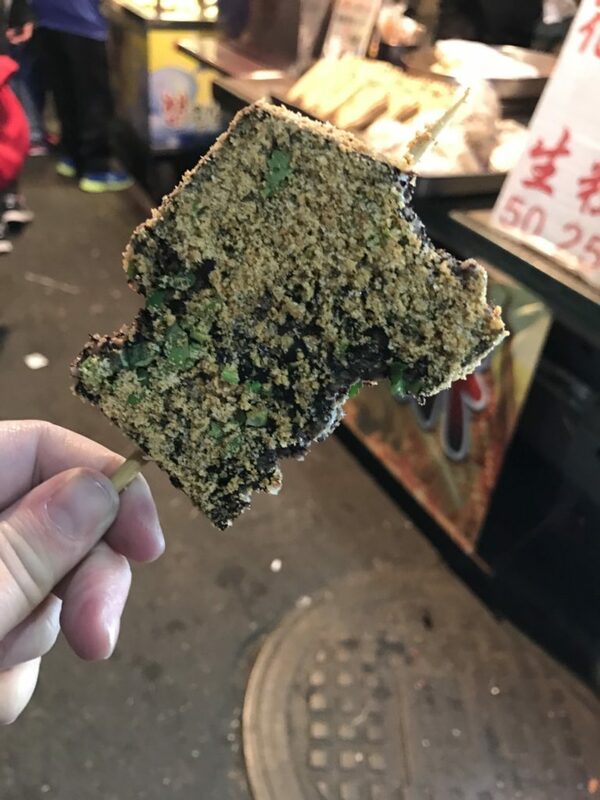 If you love to try new foods and are ready to push yourself gently out of your travel comfort zone, Taiwan is an amazing destination! At around age 12, Jason fell off his bike and chipped his two front teeth. He went to the dentist and had them filled and that was the end of it. Until 2016. We have a great dentist in Campbell, California and her name is Dr. Ho. If you need a dentist, look no further – just don’t expect to get a same-day (or even same-week) appointment. So when one of the fillings fell out of Jason’s front tooth a mere two days before we were to leave for the British Virgin Islands in April, it was an issue. 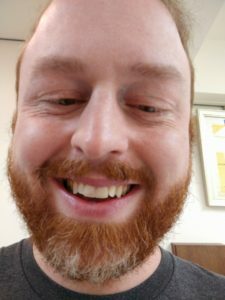 With Jason concerned he’d need a root canal if he left the inside of his tooth exposed for over a week, he called about a dozen San Francisco Bay Area dentists before finding one that could take him that afternoon. The timing of it was inopportune to say the least, but thankfully, it was an easy procedure and all was well. Fast forward to last Wednesday: Jason and I were sitting in our room in Hualien, a relatively remote area of Taiwan. The town only recently got a highway built to it so travelers could reduce the drive from Taipei from seven hours to three hours. We were based there to see the nearby Toroko National Park and had planned to continue our circumnavigation of the island the following day with a long train ride to Tainan. 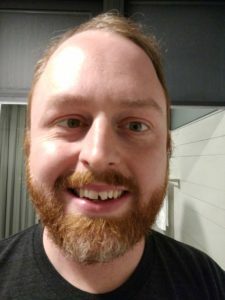 It was about 10:00 pm; Jason was sitting on the bed, and I was sitting on the couch when I heard “uh oh.” I looked up – the filling in his other front tooth had fallen out. At that point we tried to figure out our best plan for Jason getting seen that next day. We have good travel health insurance and while I was pretty sure we weren’t going to reach our deductible with one filling, they have a great online resource for finding well-educated, English speaking doctors almost anywhere in the world. 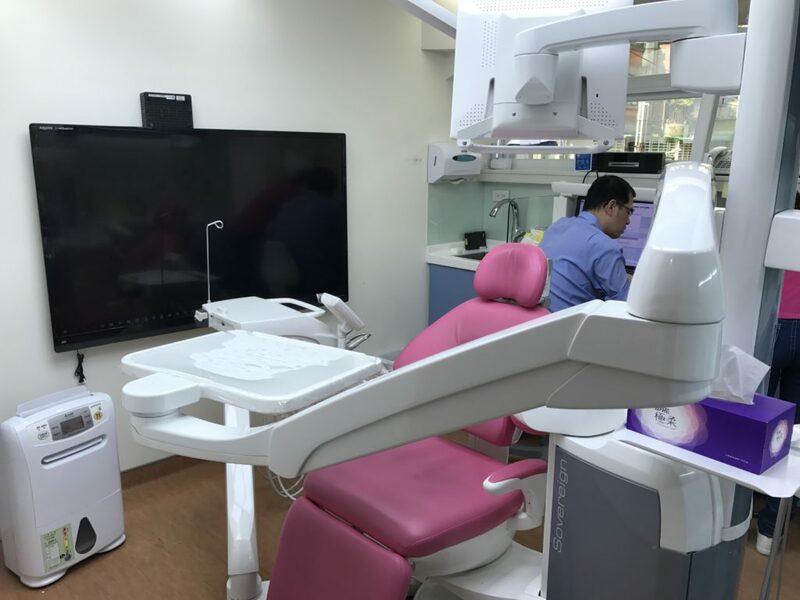 Unfortunately however, they only had one dentist listed in Taiwan, Dr. Jackson Liu, and he was in Taipei, a three-hour train journey in the wrong direction. This was important though, so even though it was late at night, I sent them an email requesting an appointment for the following day. 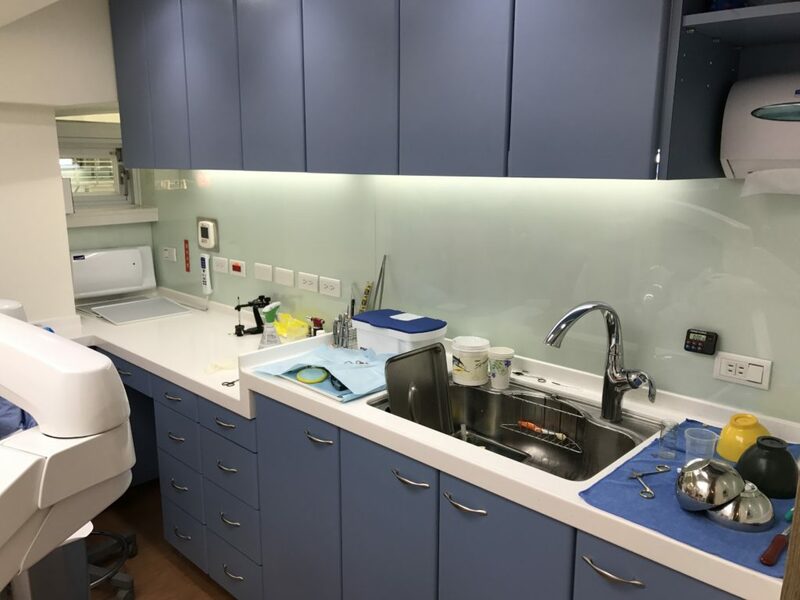 We also did a bit of research online and found a couple other good English-speaking dentists, both in Taipei, that we had planned to call in the morning if we didn’t hear back from Dr. Liu. 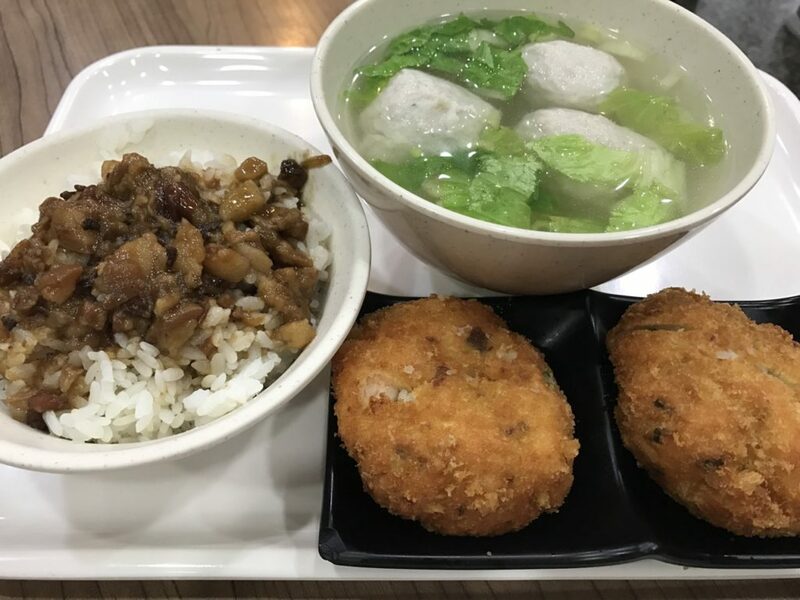 At that point, we realized that we would no longer be going directly to Tainan, and instead would be returning (temporarily) to Taipei in the morning. All of this had taken about two hours to hash out. We were prepared with our list of dentists to start calling when we woke up, but luckily, there was no need! 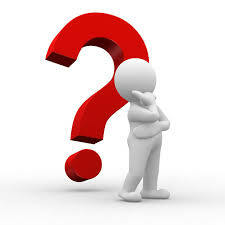 Dr. Liu’s office, called DentistQ, had emailed us back around 6:30 am and confirmed an appointment for 1:00 pm. We packed up quickly and took a cab to the train station. We purchased tickets from the window for the next train to Taipei, leaving at about 9:00 am. 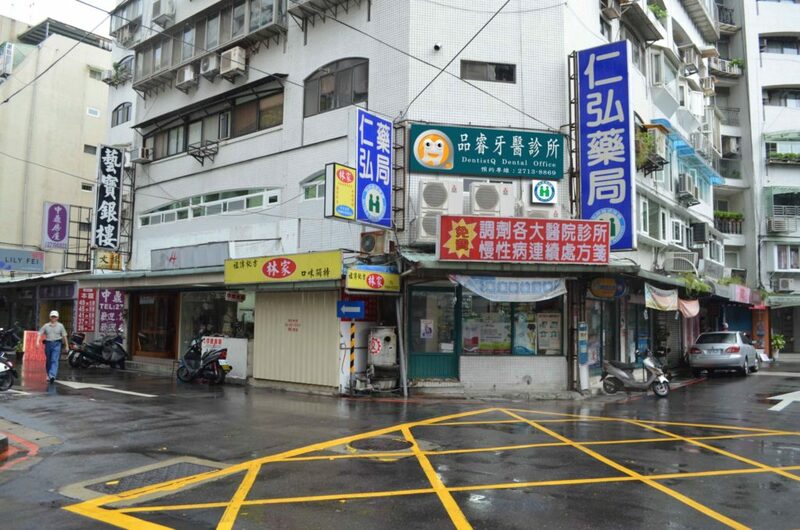 With only about 20 minutes to spare, we arrived at DentistQ following a bus ride from the train station in Taipei. Had we missed that 9:00 am train in Hualien, we would have been late. The receptionist spoke limited English, but we filled out a form that was (mostly) translated. At around 1:15 pm, Jason was taken back for about an hour, while I watched a TV show on my laptop in the lobby. Jason returned with his tooth looking as good as new! He said that the whole visit went smoothly and that the doctor’s English was very good. At his suggestion, I took a peek into the office, which looked more modern than our dentist’s at home. A few minutes later, they handed us an invoice for $5400 NTD, or $175 USD. They only took cash, but we were prepared, so we paid and left. I spoke to GeoBlue, our travel medical insurer, and we’ll be sending them the invoice to apply our payment toward the deductible. I can’t give a real review of them just yet, but they were quick to pick up the phone and offer lots of help, even though it was the middle of the night for them in the US.